I'm excited to announce the release of my debut album as a leader, Instead. The album features jazz greats Curtis Lundy on bass and Billy Hart on drums, and consists of six original songs and five covers. The album was released on March 1st, 2017 and can be purchased on ﻿CD Baby﻿ for a physical copy or at Amazon for a digital copy. Below is the first track from the album, an original entitled "Because It's Raining." These four videos are from a concert of the Ben Rosenblum Trio at Himawari-no-Sato Concert Hall in 2018 in Yokohama, Japan. These feature the amazing Kanoa Mendenhall on bass and Ben Zweig on drums, as well as the incredible Yuko Watanabe on koto. River City and Mere Days are original compositions by Ben. Here are two live performances of the Ben Rosenblum Trio from our 2017 West Coast CD Release Tour. These feature the incredible Kanoa Mendenhall on bass and Ben Zweig on drums. Both tracks are originals from my debut album, ​Instead. These two videos are performances of the Ben Rosenblum Trio from our 2018 Japan Tour. These also feature the amazing Kanoa Mendenhall on bass and Ben Zweig on drums. The video on the left is a Wayne Shorter composition entitled "Seeds of Sin," while the right one is a ballad by Jimmy Rowles called "The Peacocks." B.E.N. is a jazz collective that I co-lead with bass player Ben Rubens and drummer Ben Zweig. To the right is a recent video of us performing the wonderful Walter Davis Jr. tune Uranus. Search the Youtube channel for more clips from the same recording session. Curtis Lundy Trio featuring Winard Harper. Melba Liston's composition "Just Waiting," recorded duo with trombonist Kalia Mariev for Second Floor Music. 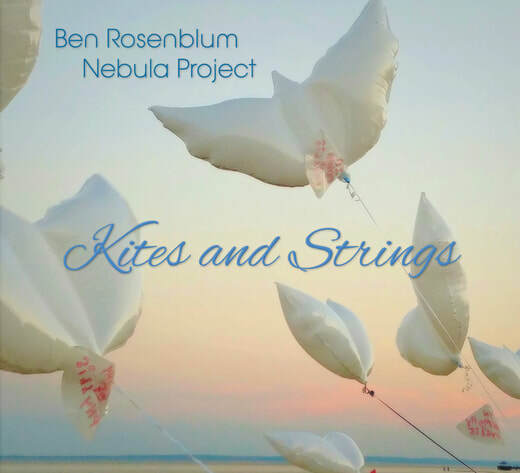 Ben Zweig's original composition, "Origins," recorded by B.E.N. feat. Ben Rubens on bass and Ben Zweig on drums. Tim Hegarty Group performing the jazz standard "End of a Love Affair" at Somethin' Jazz Club. Featuring Tim Hegarty on sax, Daryl Johns on bass and Steve Johns on drums. Saxophonist Patrick Bartley's J-Music Alliance project performing Yoko Kanno's composition, "The Real Folk Blues." Featuring Mat Muntz on bass. Here is a video from Klazz-Ma-Tazz's recent CD release event at Cornelia Street Cafe in September 2015. We perform a cover of "Girl" by the Beatles, as well as an original by Ben Sutin called "Speak the Truth." "Speak the Truth" is on our debut CD release, Tangibility, which you can purchase on CDBaby or Amazon. This video was recorded a while ago at the Taylor House in Jamaica Plain, Boston, on January 27th, 2012. Featuring the wonderful Alida Rohr on vocals. Sinnerman is a traditional American spiritual song. Our arrangement of the tune was inspired by the famous recording done by Nina Simone on her album "Pastel Blues," but ends up differing immensely from the original. We also start the arrangement with a selection from Psalm 90 by Isaac Watts, which comes back later in the piece. Additional lyrics written by Alida Rohr. To listen to music from a rock project that I was part of, check out Dev Avidon's sophomore release, "Tears of Men," available at http://devavidon.bandcamp.com/album/tears-of-men for listening and purchase. It's a beautiful album of jazz-infused progressive rock, and I was incredibly excited to be a part of it. I play a variety of keyboard instruments on the album, and I also have a long accordion solo on the eighth track, "The Lowlands of Osaka."